If you're a lighting nerd like most of us at 1000Bulbs.com, you've likely heard of the 110-year-old Centennial Bulb in Livermore, California. If (more likely) you're not a lighting nerd, here's the brief rundown: The Centennial Bulb was installed in a firehouse over 110 years ago and still hasn't burned out. It's not known exactly how it has lasted so long, but there are a few good clues: One, it has only rarely been moved; two, it has been switched off only a handful of times, and three, it is operated at very low power. The two previous articles in this series explained how manufacturers determine life hours and how life hours and warranties are two different things. This third and final article in the series explains how you can make your light bulbs last longer. We can't guarantee they'll last 110 years (in fact, we can almost guarantee they won't), but by following a few tips you can easily double or triple the life of your bulb. One caveat, however, because not all light bulbs use the same technology, these tips do not apply to all bulbs. Don't move it! Light bulbs get hot. Really hot. And when metal (which makes up a bulb's filament) gets hot, it gets brittle. The more you handle a bulb with a brittle filament, the more vibration you subject it to, making the filament much more likely to snap. This doesn't apply only to handling the bulb; it also applies to placement. Any bulb installed in a place that moves also moves. The swish of a ceiling fan or the slam of a refrigerator door, while barely heard by you, is a light bulb's death knell. It's for this reason that you may have seen special bulbs with reinforced filaments marketed as "ceiling fan bulbs" and "appliance bulbs." As you might have picked up, this rule only applies to bulbs with filaments, like incandescent and halogen bulbs. Leave it on! This may sound contradictory to common sense, but it's not. Every time you flip a switch, you are blasting your light bulb with power. That poor little filament is forced to go from room temperature to 5000° F in a fraction of a second! You do that too many times, and the filament will literally crack under the pressure. This also goes for ballasted bulbs like linear fluorescents, CFLs, and HID lamps. In the case of an instant start fluorescent ballast, you're hitting the fluorescent tube cathodes with 600 volts every time you flip the switch. After so many power cycles, the lamp will fail. Keep in mind, however, that while this trick will prolong the life of your bulb, it could also increase your electricity usage. Operate it at low power. This may be the real secret to the Centennial Bulb's longevity. Less power means less heat, which translates to less stress on a bulb filament. If you live in the United States, your house is operating on ~110V, so if you buy a bulb rated for 130V, you'll be hitting the bulb with 15% less power than it is designed to handle (130V - 15% = 110.5V). You can stretch this principle even further with a dimmer switch. When you dim a bulb, you are lowering the voltage delivered to the bulb filament, putting it under less stress. This also applies to fluorescent technology, but in a slightly different way: Unlike an instant start ballast, a programmed start ballast supplies a much lower starting voltage and heat to the lamp. If you switch to this type of ballast, you could extend the life of your fluorescent bulbs by over 30%. Finally, remember that the aim of extending bulb life, in most cases, is to save money. Is it really worth it to make that incandescent bulb last forever by dimming it and leaving it on for longer periods? In many cases, it's better to switch to a more efficient CFL or LED. But if you're a die-hard incandescent fan, or want to recreate your own Centennial Bulb, these tips will come in handy. 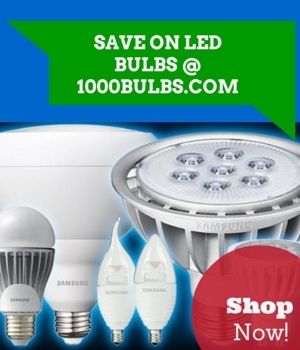 May 25 Why Buy 130 Volt Light Bulbs?